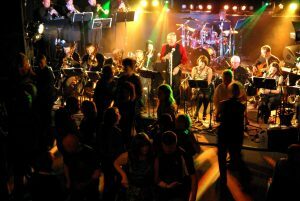 Formed in the year 2000, Rooty Ma Toot Big Band has, over the years, included many of the top musicians around Inverness. They have played at Castles, Highland Stately Homes, Corporate Functions, Inverness Caledonian Thistle Stadium, Eden Court Theatres, Ironworks Venue, Festivals including Main Stage & the Ice House Jazz Stage at Belladrum, Jocktoberfest, Thunder in the Glen, Clubs, many private functions, and featured several times on Moray Firth Radio. 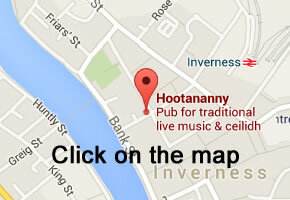 They have occasional showcase gigs in Inverness. 4 Trumpets, 4 Trombones and 5 Saxes. Regular Vocalists: Pete Mackie & Julie Keen.